The Kershaw Zero Tolerance model 0121 is a full-tang, fixed-blade military knife with an S30V stainless steel blade. A tungsten dlc coating covers the blade making it non-reflective and corrosion resistant. A cord cutter is located in the choil of the blade thus making sure it is out of the way, yet easy to get to. 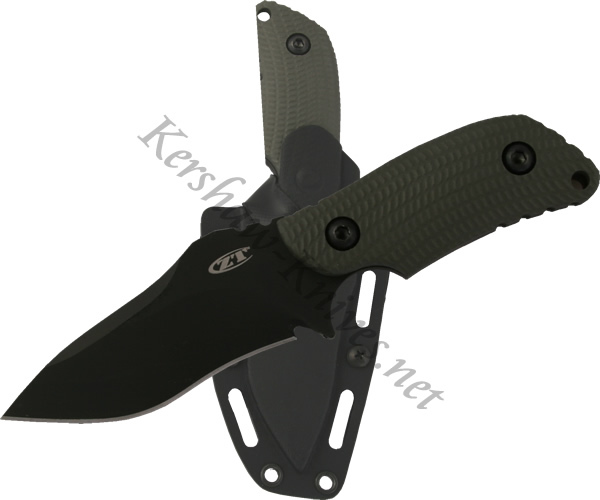 The ranger green handle is made from textured G-10 and has a lanyard hole drilled in the end. A Kydex sheath comes with the Kershaw 0121 that is MOLLE compatible, making the knife able to be carried in different configurations.